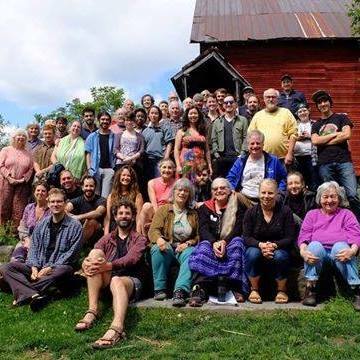 The Institute for Social Ecology cordially invites you to our 2018 Annual Gathering for a weekend of engaging political discussion, great food, and socializing in Marshfield, Vermont. The gathering is a unique opportunity to renew the Social Ecology community in person, restore old friendships and make new ones, and connect with like-minded people from around the world. We provide great fresh meals over the course of the weekend, so we ask participants to pay a sliding scale fee of $70-200 dollars (we don’t turn anyone away for lack of funds). There is free on-site camping, motels, and a variety of other local housing options nearby. To register, please email us at: social-ecology@mail.mayfirst.org and pay in advance here. We look forward to another wonderful weekend – mark your calendars and join us! 3:00 – 3:30 ISE Project Volunteer Meeting – Get Involved!